As soon as I saw this adorable turkey on Mickey’s blog, I knew I just had to make one of my own! I used candy corn in the Sweet Treats cup, and made my own designer paper with the leaf from Holiday Blitz. The base is a 3″x3″ card, but it could easily be incorporated into something larger. How cute would this be for Thanksgiving place cards? 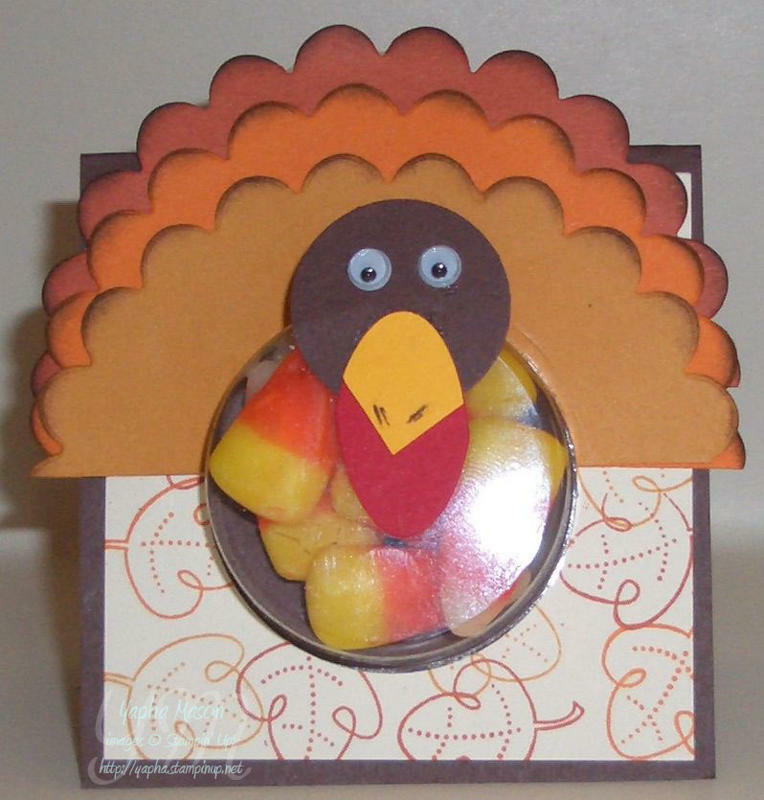 This is one of three great Thanksgiving projects that I will be making in my faculty after-school stamp class. on November 4, 2009 at 9:35 pm Cindy E.
That is soooo cute! I think I’ll make this with my grandson. TFS!!! Super cute! I need to get some Treat Cups and CASE this. Great idea too, since I don’t have the Sweet Centers set. Super cute turkey! I love that I already have everything to case it!